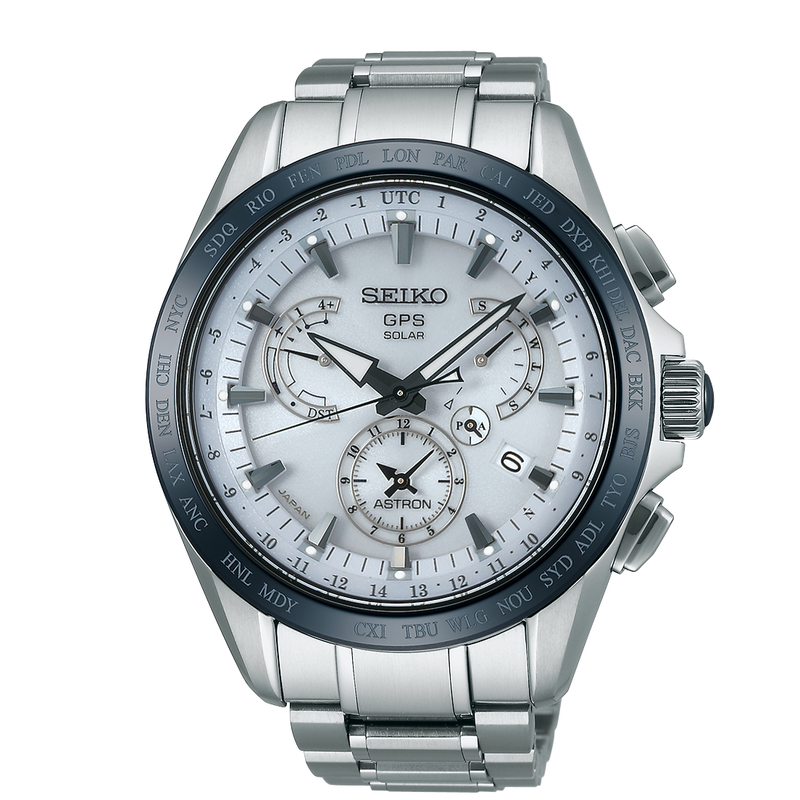 SKU: SSE089. 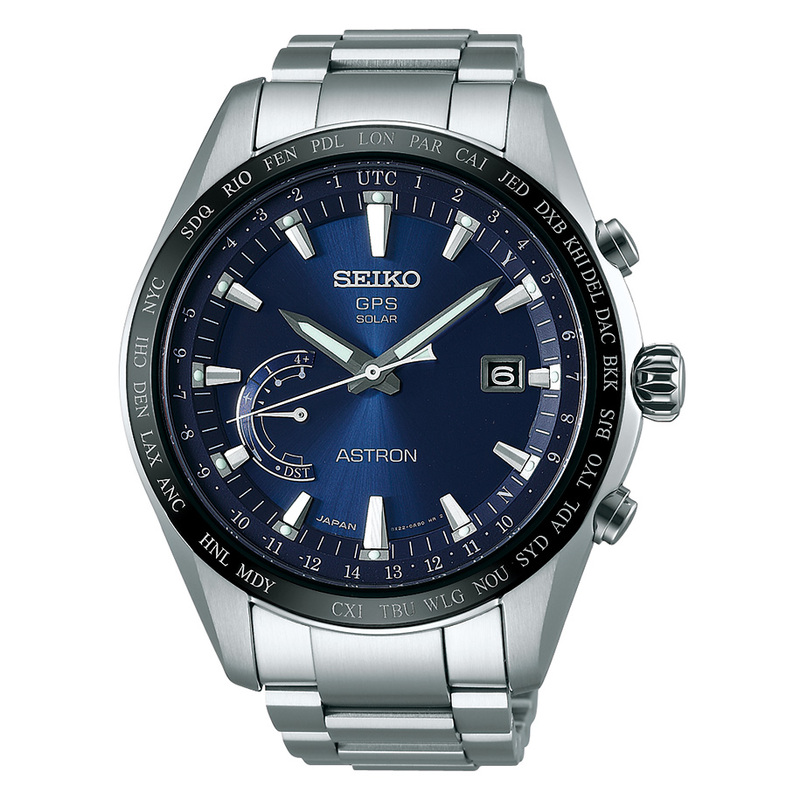 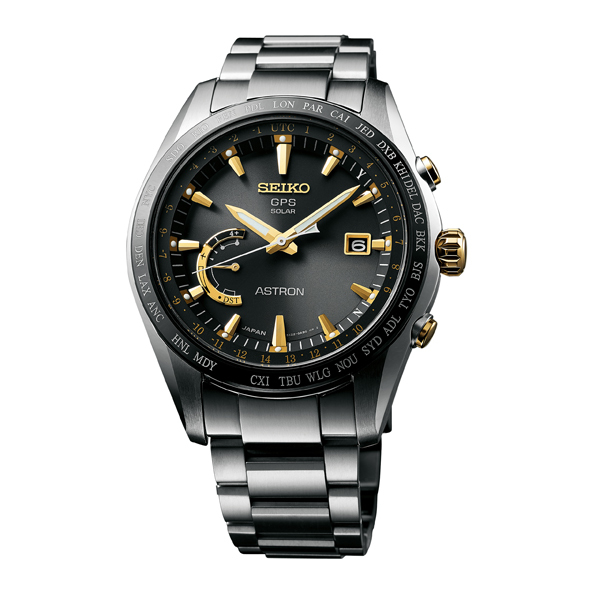 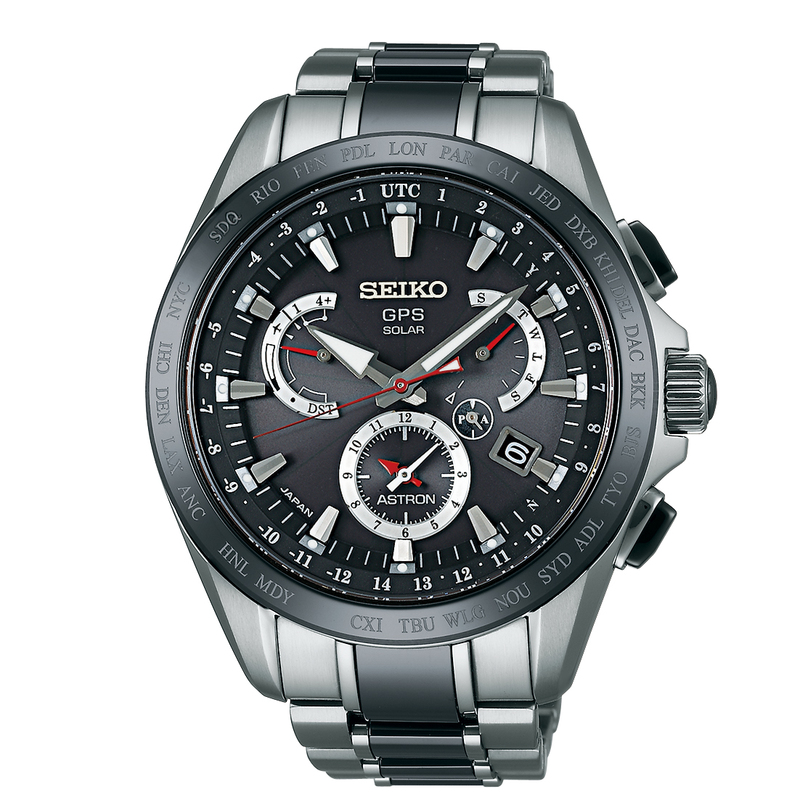 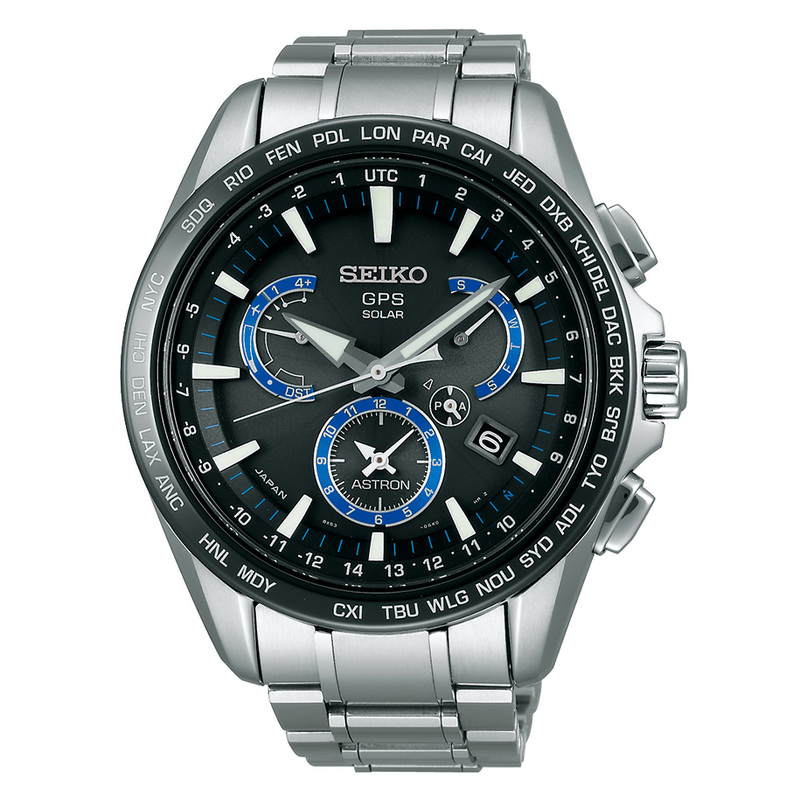 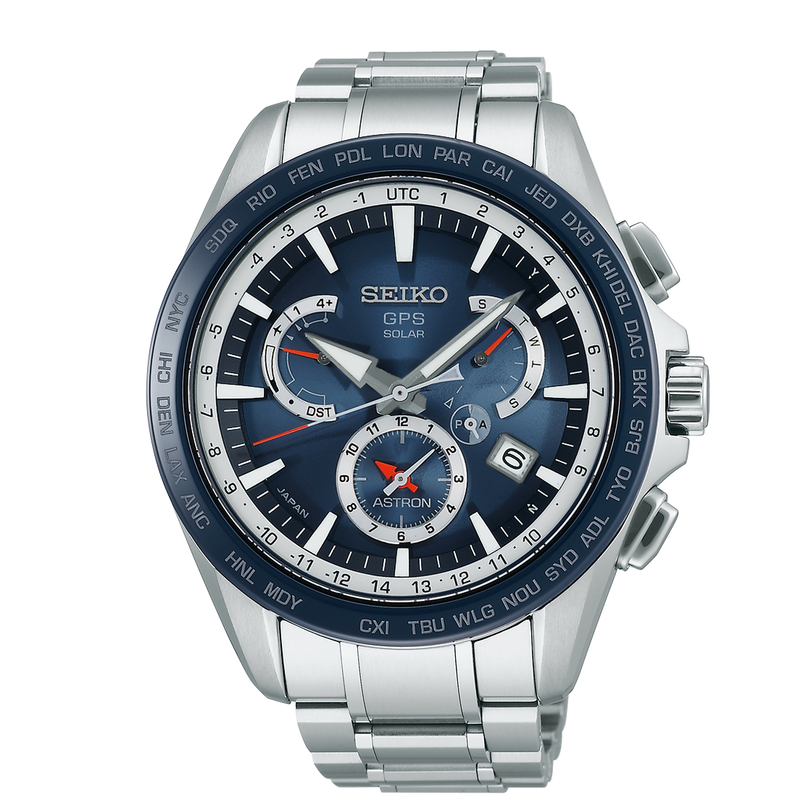 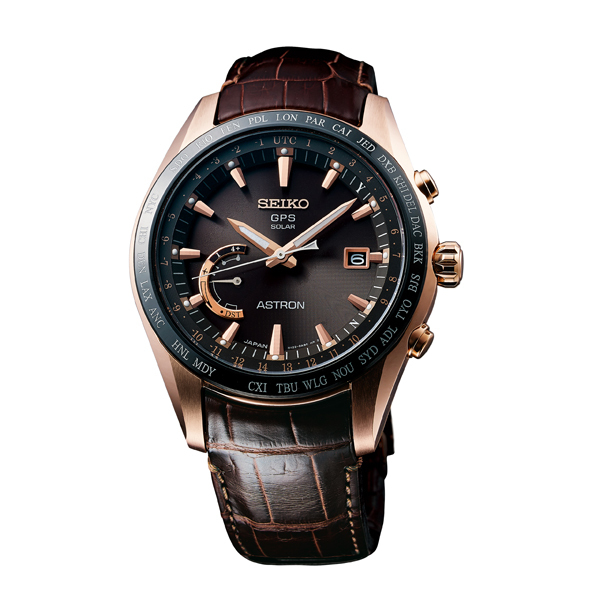 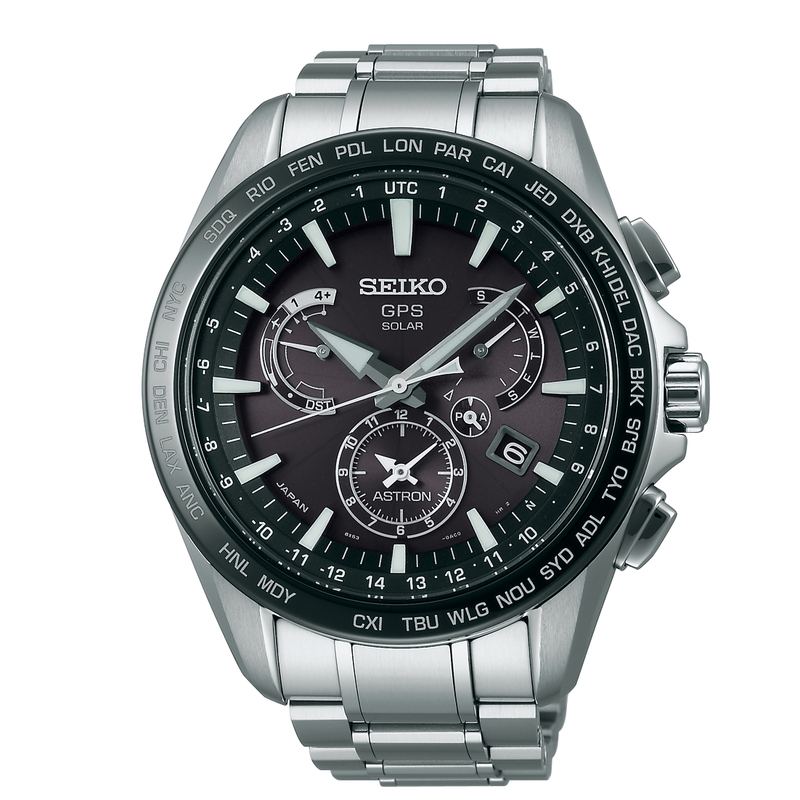 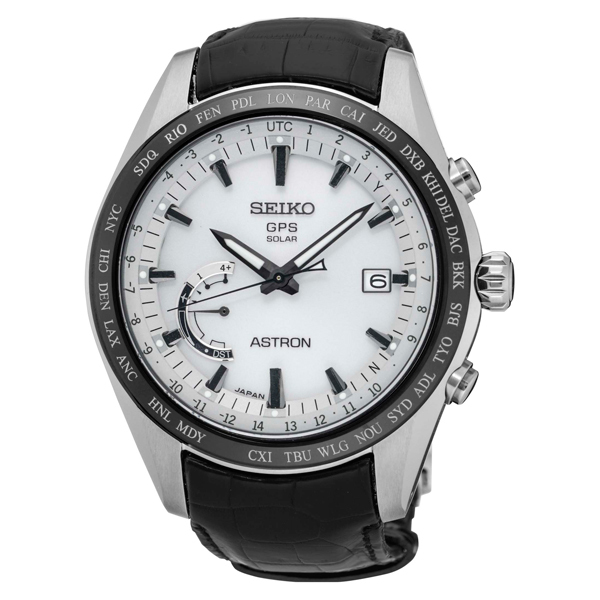 Categories: Men's, Watches, Seiko Astron. 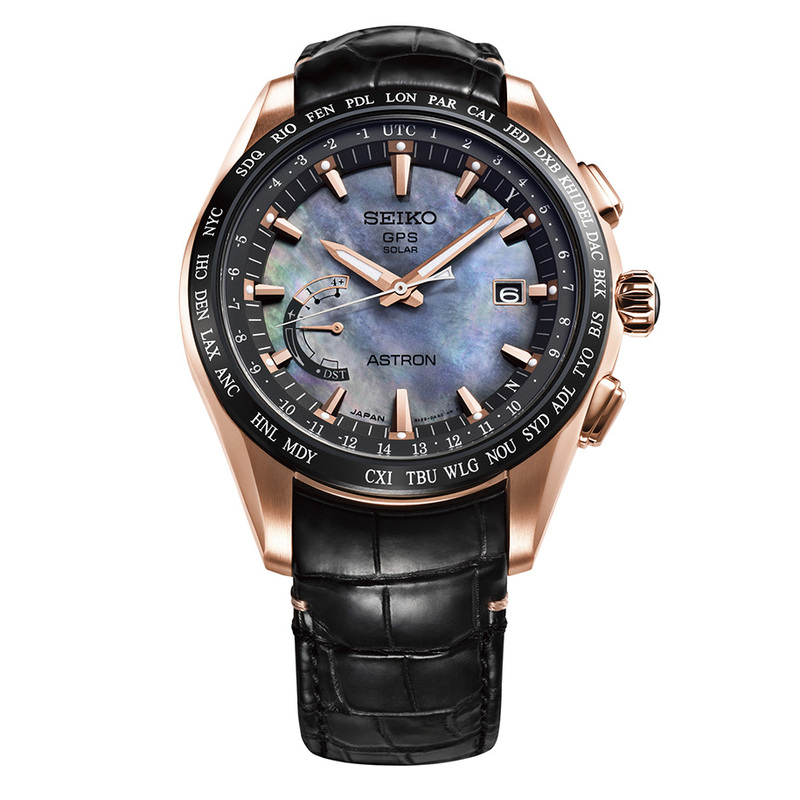 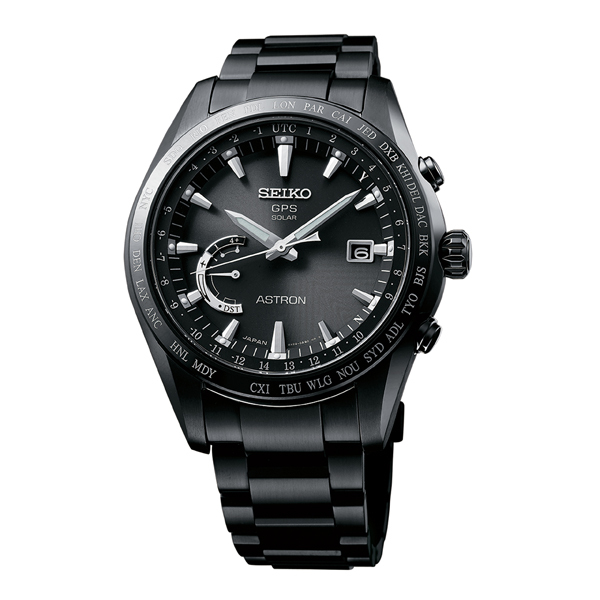 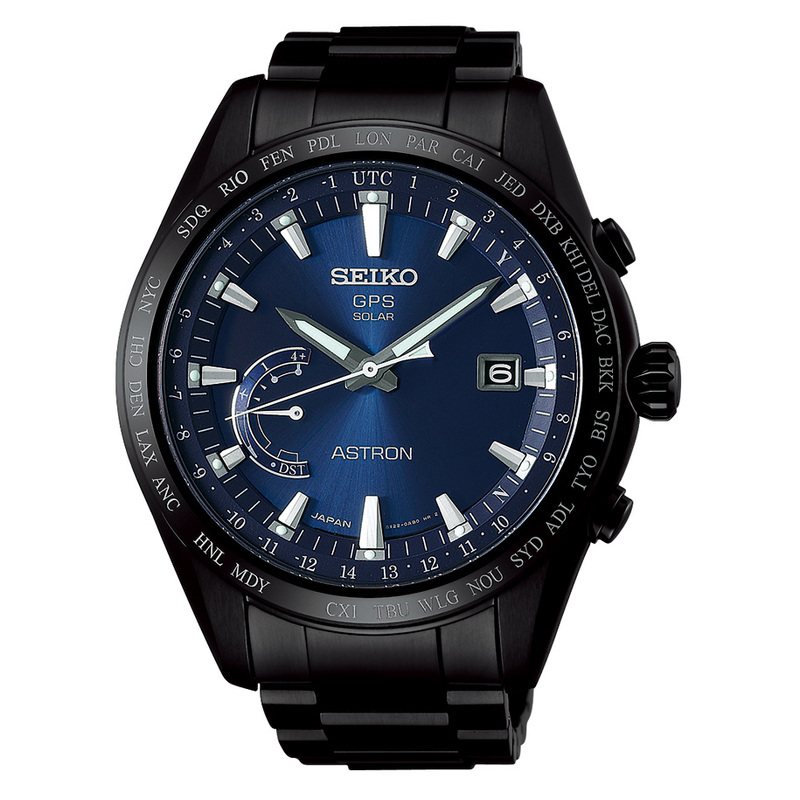 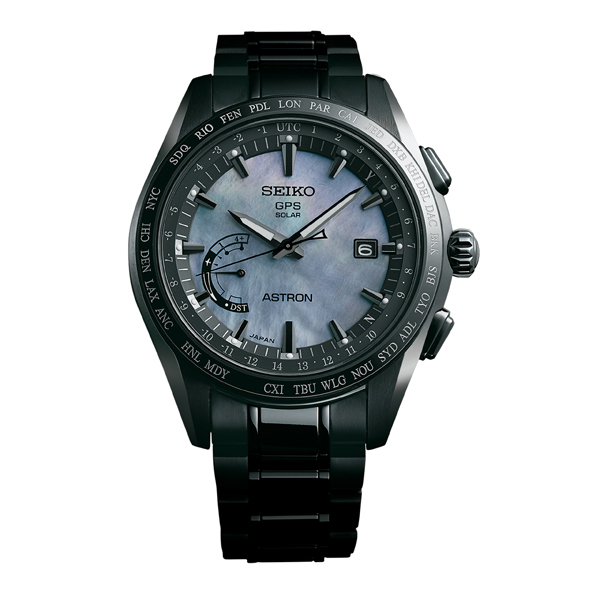 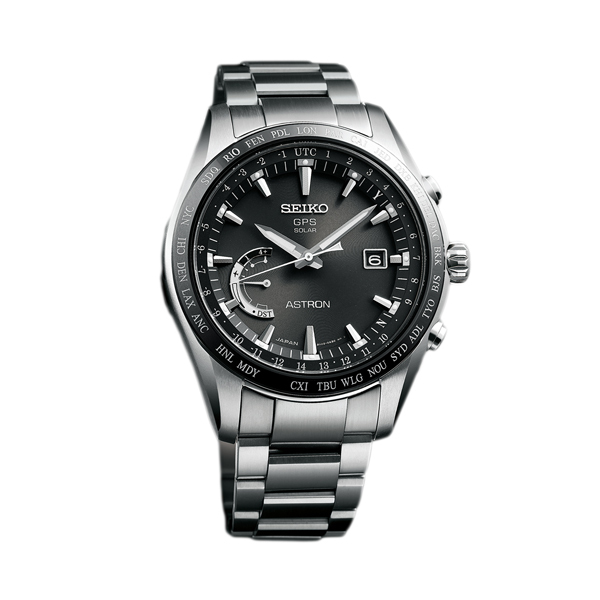 The Seiko Astron 8X Series World Time (titanium model with super hard black coating) SSE089 features GPS controlled time and time zone adjustment. 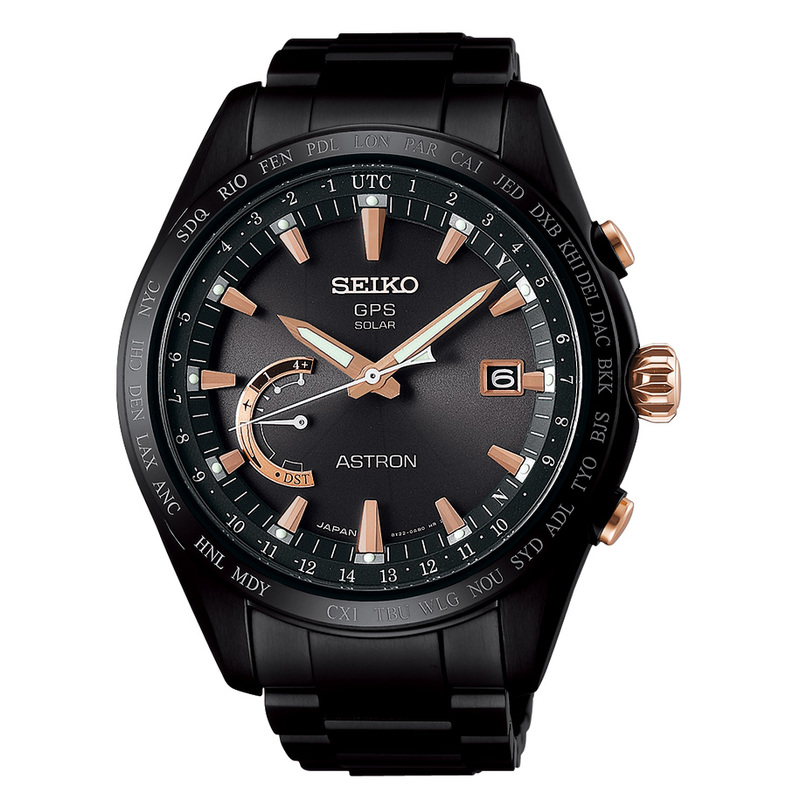 The perpetual calendar is correct to the year 2100. 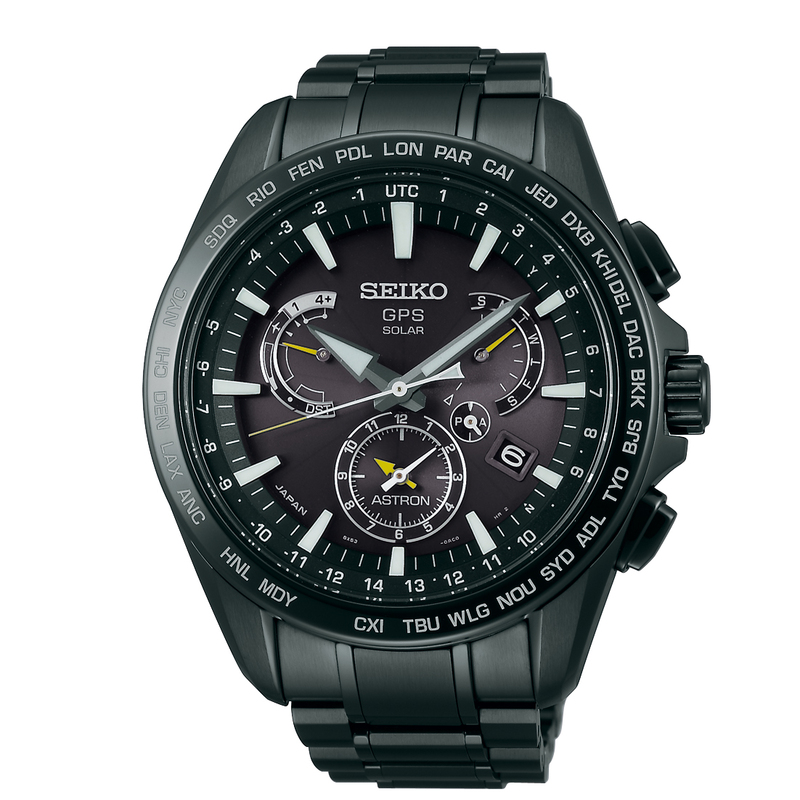 Also includes world time function (40 time zones), daylight savings function and power save function.